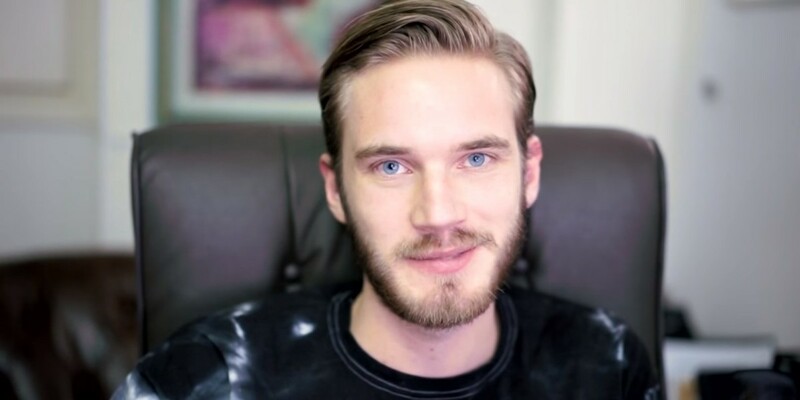 PewDiePie is one of the most recognizable YouTubers. The 27-year old Gothenburg native is an international celebrity and a self-made millionaire, and it’s all thanks to his videos, where he yelps, shrieks, howls, and makes the occasional dirty joke. Needless to say, he’s not my cup of tea. And last week, he threatened to irrevocably delete the YouTube channel that’s given him all his success. This, he said, would happen when his subscriber count passed the 50 million mark, and was intended to be a protest against changes to YouTube that he feels undermine the experience for content creators and viewers alike. He’s got two main beefs with YouTube. Firstly, he alleges that tweaks to the management and presentation of user’s accounts has resulted in people unsubscribing from channels without their consent. He’s also ticked off with some visual tweaks that have meant that people don’t immediately see videos from channels they’re subscribe to. “YouTube is a toddler playing with knives. Let’s take away the knives from that baby,” the Swede, whose real name is Felix Kjellberg, said. Of course, it didn’t take long for PewDiePie to break the 50 million subscriber mark. When he did, Kjellberg deleted… his back-up channel. It was all an elaborate joke. And a good one too. Many in the press took it at face-value. But I’m sure his grievances aren’t a joke. There’s an increasing discontent within the YouTube community about how the platform is being managed. YouTubers are angry about a lot of things. Many are angry with YouTube Red, which they feel unfairly disadvantages the majority of the YouTube creator community, whilst benefiting established names like PewDiePie and The Fine Bros. Many are angry about the YouTube’s failure to enforce community standards. While others are angry with YouTube Heroes, which they feel puts the role of moderation in the hands of unaccountable community members, and can be easily abused. For the time being, the status of YouTube as a streaming superpower is safe. It’s where the viewers are. It’s got a monetization system that’s both established and mature. There’s little-to-no chance of a user exodus in the immediate future. But as we’ve seen with Digg, MySpace, and Yahoo, the Internet is a fickle place, and the fortunes of a once-dominant website can turn in a matter of moments. Increasingly, people have choices about where they make a name for themselves, and YouTube’s position is going to shrink in the face of Snapchat, Periscope, Facebook Video, Musica.ly, and apps like Whale and Yam. How it handles the discontent of its core users will determine how well it copes with this increasingly competitive landscape.